Lewis and Clark saw them! In 1805, members of the Lewis and Clark expedition, while exploring north of the Columbia River, came upon a California Condor. David Douglas, the English naturalist, collecting the flora and fauna of the Columbia River country in the mid-1820s, found the great birds abundant along the lower river. But after 1854, no condors were ever reported on the lower Columbia again. 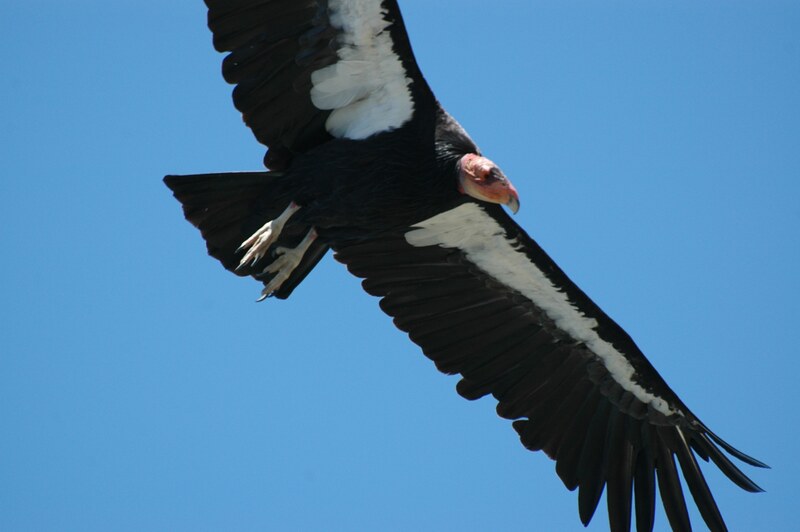 By 1983, only 22 California Condors were left in the world. But people have not let the condor slip into extinction. Through captive breeding, the bird's population has increased ten-fold. Stand up and stretch out your arms. If you’re of average height, your “wing span” is somewhere around five and half feet. Now imagine a bird with wings stretching almost twice that! It was a California Condor. By 1983, only 22 California Condors were left in the world. Find us on the web at birdnote.org. Waves recorded by Kessler Productions. Ambient behind lower Columbia River country in summer from C. Peterson’s recordings near the Rogue River. All quotes: Jack Nisbet, Visible Bones: Journeys Across Time in the Columbia River Country. Sasquatch Book. 2003.